This is a rectangular International Boilers porcelain sign. 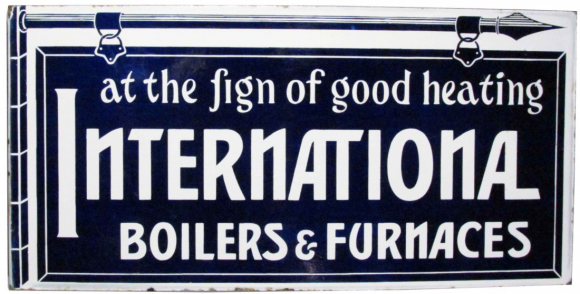 This particular International Boilers sign is blue and white. It reads, “At The Sign Of Good Heating, International Boilers & Furnaces” and features a blue hanging sign border.